Silver pellet mag on the left, black BB mag on the right. 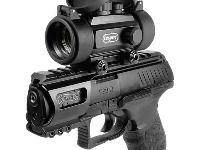 Shown with optional equipment: Weaver rail & dot sight. 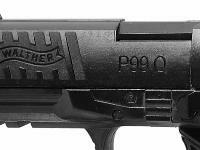 Another version of the famous Walther P99 firearm, the PPQ (P99 Q) CO2 pistol is extremely realistic and a fun all-day shooter. The owner's manual incorrectly states how the BBs should be loaded. 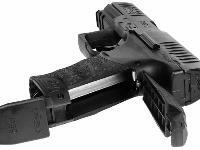 The correct way to load the magazines is from the side that does not have the ratchets. 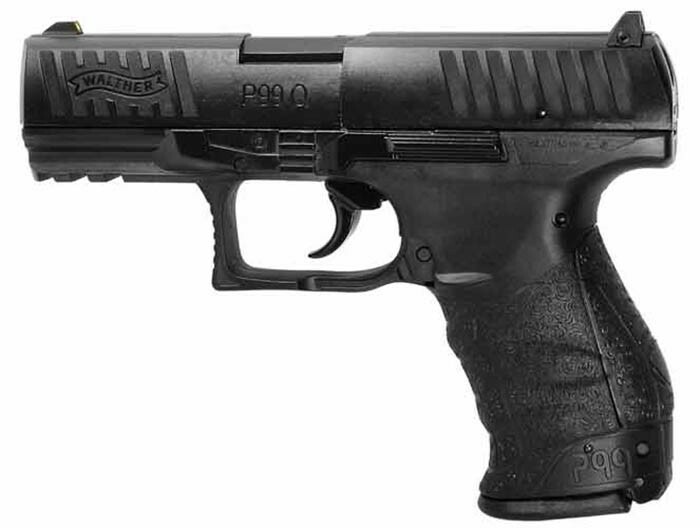 Learn more about the Walther PPQ/P99 in Dennis Adler's Airgun Experience Blog. Walther makes some of the finest replica guns in the world. The PPQ or P99 Q is another great gun in the vault. It looks and feels like the firearm. While most Walther lookalike pistols shoot only lead pellets, this one shoots steel BBs, too. 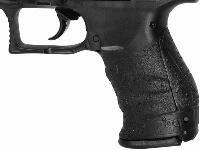 The separate mag holds 8 BBs, making it even cheaper to shoot this pistol. Things I liked: It's a nice looking compact pistol. Things I would have changed: The trigger. It's terrible. It makes me wish I never purchased the gun. What others should know: If you are looking for accuracy. This gun is not for you. I wish I would have listened to the reviewers about the trigger and purchased another repeater. Also...make sure you seat your pellets all the way so it doesn't jam. I used CPHP with good results. 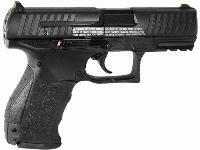 Things I liked: Well made, easy to load and shoot, looks like the real live firing pistol. 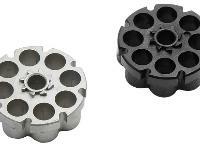 This would make a great air pistol for children under adult supervision as a way of introducing a child to the sport of learning to safely shoot and handle a gun. Things I would have changed: The accuracy is very limited. About 5 yards is all I could hit the bull's eye, after that, the pellets wander all over the target and even didn't hit it. I would figure out how to make it shoot faster and more accurate. Things I liked: Over all great product feels close to real. Great pricing . Did well at 10 meters. how can i get this product to india....can anyone help me in getting this to kerala india. 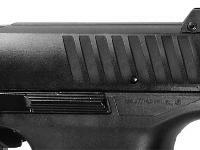 Is anyone else having an issue with the magazine slide not locking back into place unless you push it from under the barrel where the Phillips Head screw is? Gun use is on hold (of course) until I get this figured out. Looking for advice (please) on whether there is an adjustment that can be made or if this is a fault that is mine and mine alone. Thanks in advance.